We've all been there. Testing tons of formulas of foundations, trying new levels of coverage, looking for the exact shade that matches our exact skin tone. Foundation is a constant topic of conversation amongst women and makeup artists, due to the fact it's one of the most utilized products on the market. So what happens when you find that your foundation just doesn't work for you anymore and you're not quite sure what to do? 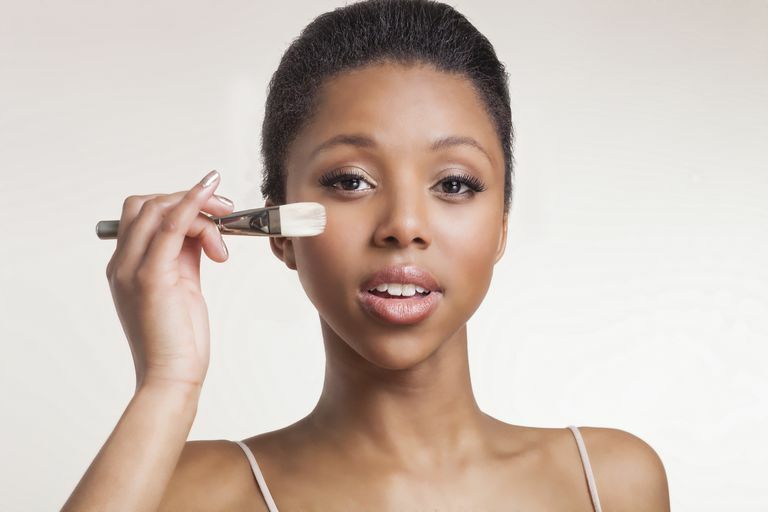 Here are the top four signs that you could be wearing the wrong foundation, and find out how to find the right one. Makeup should never feel too heavy or uncomfortable on the face. Your skin should always be able to breathe and if your foundation doesn't feel right you'll go through your entire day wishing you had worn something different. Eliminate the discomfort by switching to a formula that will give you the coverage you are looking for that also feels good. A great way to try different foundations is to simply get samples of different coverages to try until you find the one best for you. Also pay attention to how you're applying your foundation, too. When you use your fingers you can end up having a much heavier coverage than with foundation brushes or a Beauty Blender Sponge. There's nothing worse than a foundation that's not the right color, and the key to a foundation is to have it match your natural skin tone and also have it look as natural as possible (so that in return it looks just like your real skin.) If you find that you're constantly wiping foundation off your jawline and your face looks a completely different color than the rest of you, it's time to get a different shade. Switching shades is common when the seasons change, for instance, you might be darker in the summer than you are in the winter. The solution? Simply swatch a few shades of foundation from your lower cheek to just below your jawline and see if the color is a natural match. You can always lighten your foundation tone by mixing in a little bit of light highlighter as well if you're dealing with a slightly darker color that you can easily change. This is one of the most common issues with women looking for full coverage who in the end find themselves with a foundation that is way too thick. A great way to negate this is to learn how to layer products. For instance, if you're looking for a full coverage makeup to even out your skin tone, apply a primer that will do so first before foundation. Applied too much? Take a Beauty Blender Sponge and blend it down by simply tapping the sponge all over the face until you get even coverage. This will help make things look much more natural. Foundation is not supposed to tingle, burn, break you out, or cause redness or any type of bumpy texture or rash on the skin. Many women have reactions to makeup due to skin sensitivities or allergies to ingredients and it's a very real thing. Don't let the wrong foundation get you down, with these simple tips you'll find the perfect match in no time!